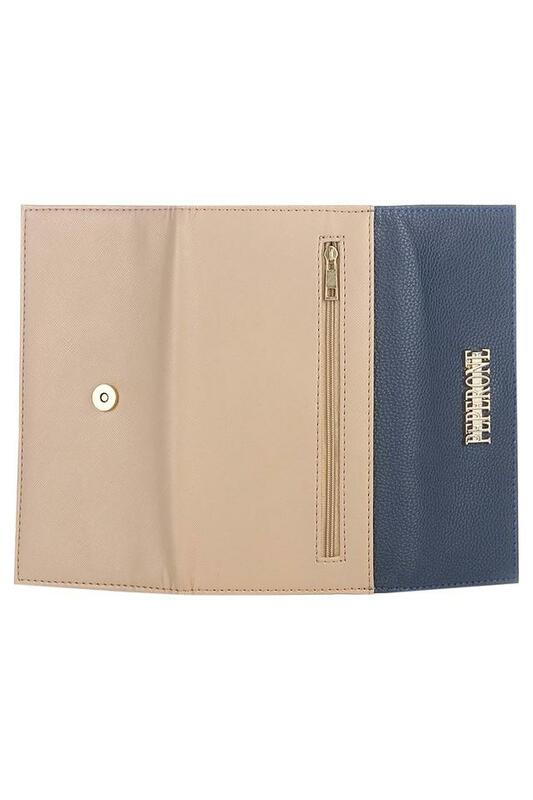 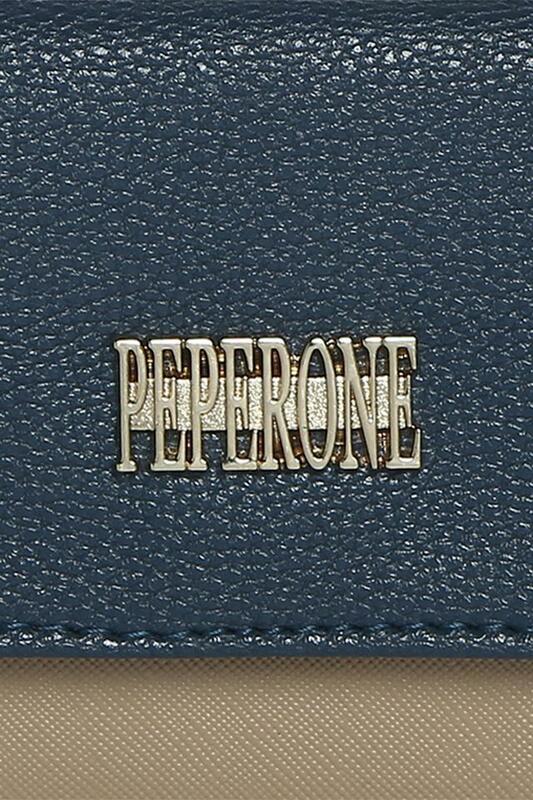 Peperone presents this trendy wallet, which will be an ideal pick for all the fashion conscious women of today. 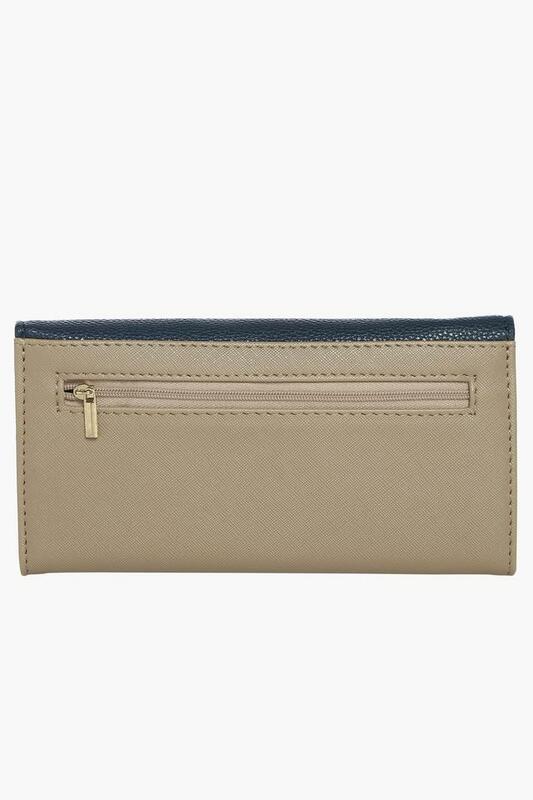 It comes with a snap closure, which ensures the safety of your essentials. 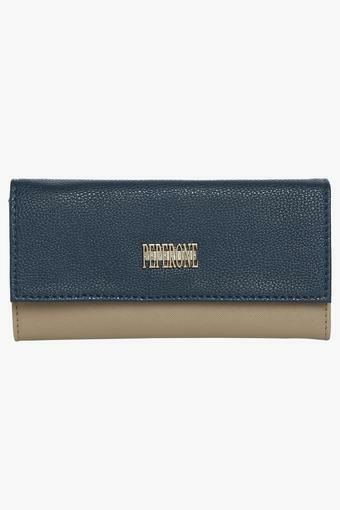 Moreover, it has been crafted from synthetic leather, which makes it easy to maintain, while the metal branding at the front adds to its design. 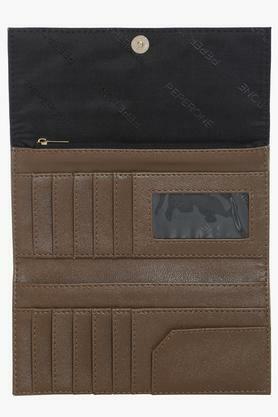 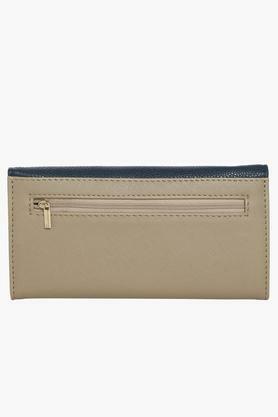 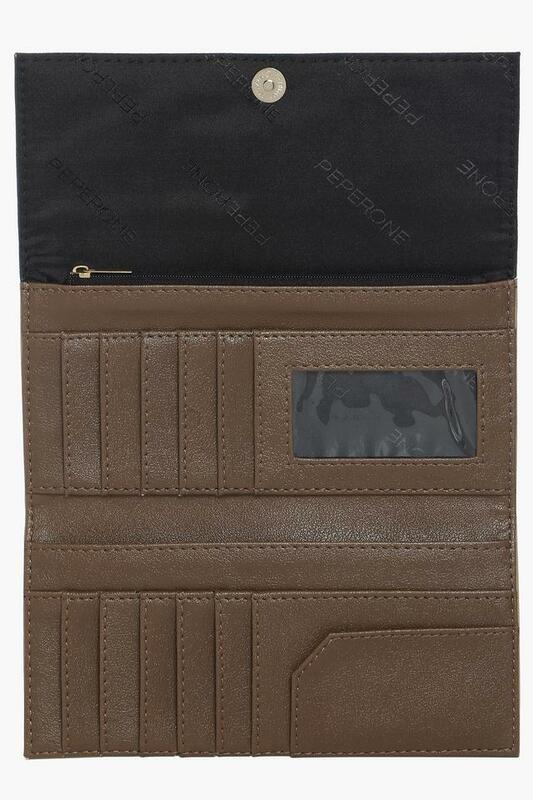 If you prefer keeping up with the latest trends, then this twofold wallet will be the right pick for you. 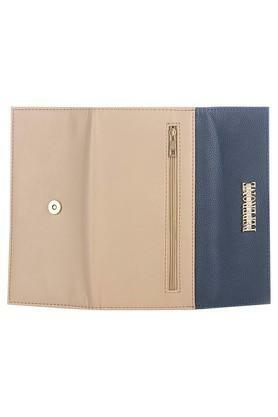 It can be carried on any casual occasion to make a distinct style statement.